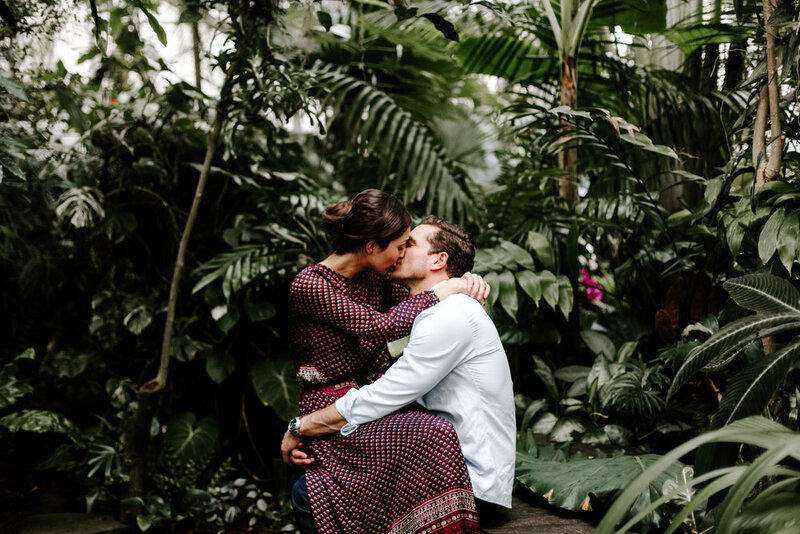 The Conservatory of Flowers in San Francisco is a dream come true for all nature lovers. 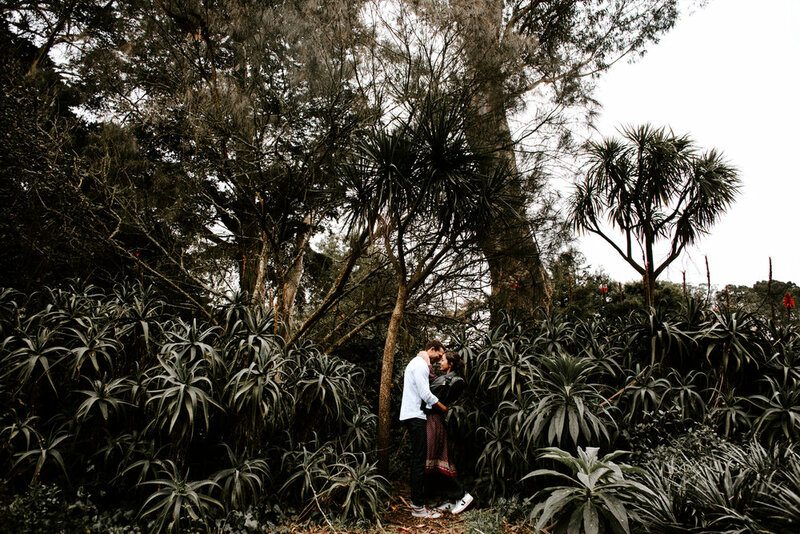 The greenhouse lies inside a beautiful victorian meets modern building inside the Golden Gate Park, and slowly reveals it's green magic from gallery to gallery, between aquatic plants, tropic specimens, and live walls that seem to be part of Charles Dickens Great Expectations. 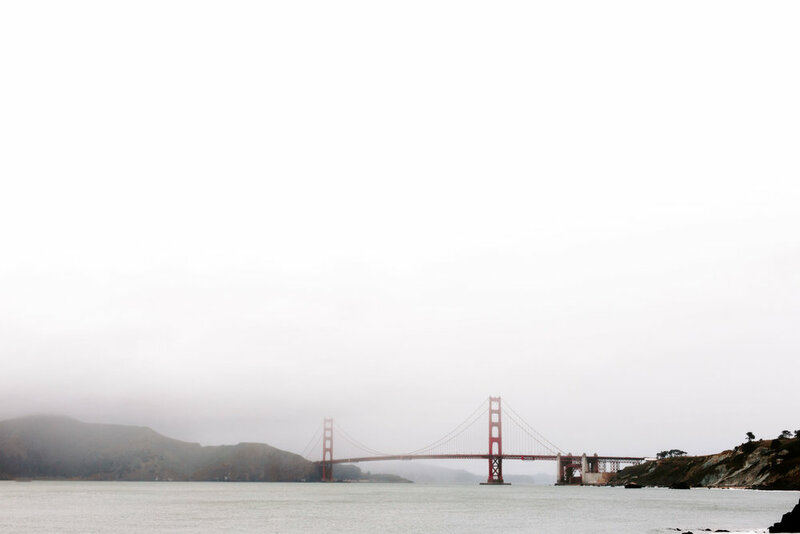 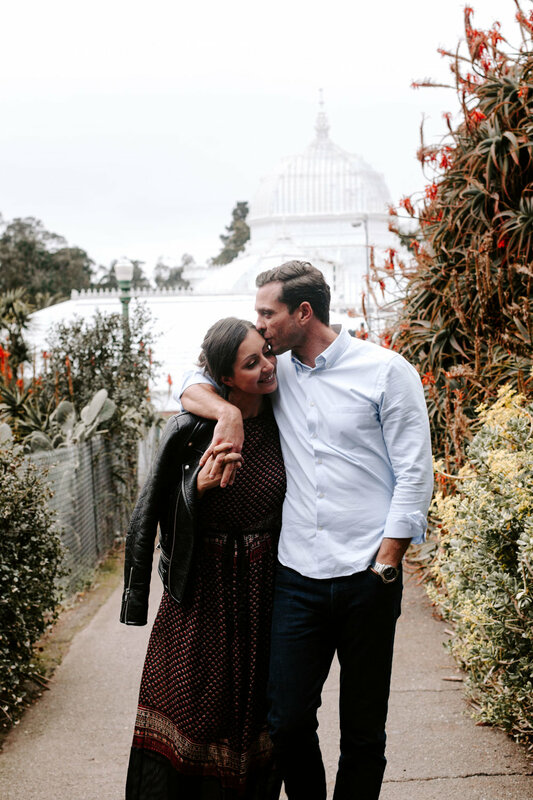 From all the secret spots the Bay Area has to offer, the Conservatory of Flowers, sets the perfect ambiance for an engagement session, a wedding and even an elopement. 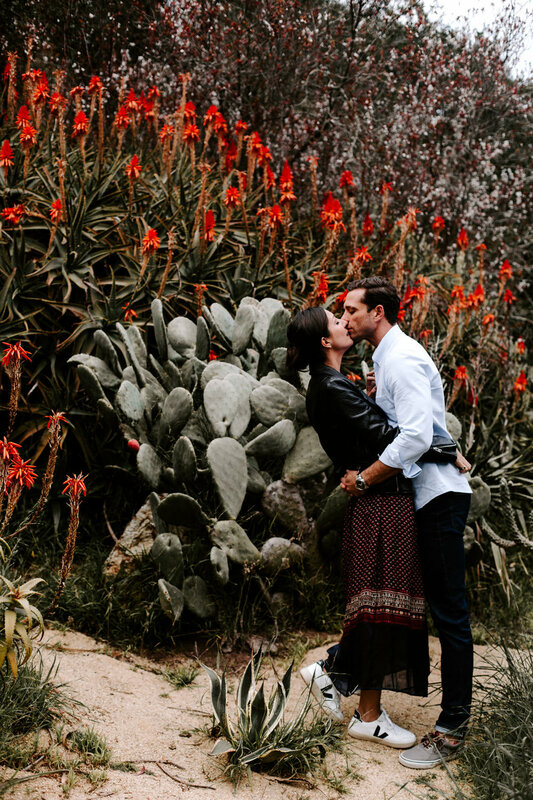 Surrounded by desert plants and sandy pathways, cacti and other california species, it sets the percent mood for a photo session. 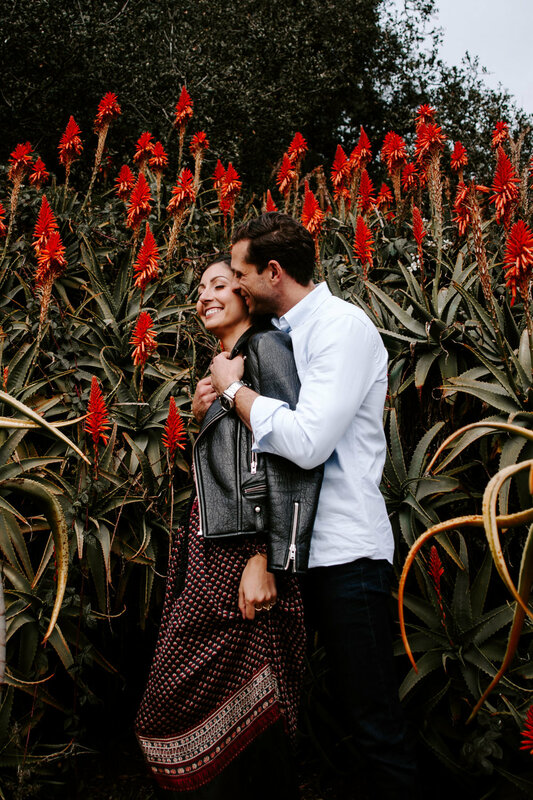 On a scenario change, but still in the nature vibe, we then came with Erik and Natasha to a tiny cove in San Francisco's Sea Cliff neighborhood, tucked between Lands End and Baker Beach.